Did you know that only six percent of companies have full supply chain visibility? Although this feature is universally desired, few companies understand what it really is and how they can implement it into their supply chain. 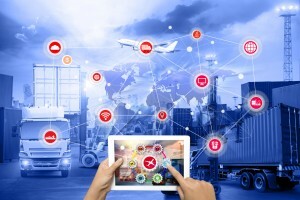 Businesses cannot run efficiently without the ability to see what is happening at each stage of the supply chain process, and that’s why visibility has become so important. Here’s what you need to know about end-to-end supply chain visibility and how you can benefit from it. What Is End-to-End Supply Chain Visibility? Although the concept of supply chain visibility has been around for a while, the feature has changed significantly in recent years. 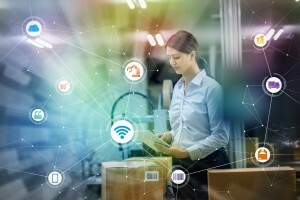 It is no longer controlled within a warehouse, but involves a network of resources spread out across multiple facilities and organizations in different cities and countries. It is the process of tracking and tracing product orders and physical order shipments from the source of production to their destination. Visibility software monitors logistics activities, transport, and the state of events that take place before and during the delivery process. For all these moving parts to be managed properly, resources of the chain need to be closely linked to get the most of the process. This is where supply chain visibility solutions come in. The flow of information can be shared among suppliers, partners, and customers, who all play a part in the supply chain, so everyone knows what is happening as soon as it does. Visibility can be a game changer for your business. When shippers choose which company they want to ship their products with, you will be at an advantage if you can provide them with the eyes to see where their product is going. Information provided by supply chain visibility can improve your entire operation and make it possible to scale your business. Complete visibility can help you reduce risks, reduce operations costs, and predict and plan to meet the needs of market changes. It will give you more control, better communication, better ability to respond to demands, and resolve issues proactively. End-to-end visibility will also benefit you by providing you cost savings, increased reliability and productivity, and will allow you to establish yourself as a reputable business in the market. It also allows you to analyze, anticipate, and respond to unexpected events, and prepare solutions for crises. Supply chains are growing to reach the global market, but this means processes will become more complex and challenging. It will be difficult to manage your extensive supply chain efficiently and guarantee steady daily operations if you cannot see your processes well. Without proper visibility you will experience a lower service level and notice more unexpected issues and additional costs. Through smart supply chain intelligence, you will be able to reduce risk and grow your business. End-to-end supply chain visibility can protect you by reducing the chances that errors will occur. Supply chain visibility can help you identify areas with a single point of failure so you can be proactive in finding solutions. It can also provide you with better forecast demand, so you will not run out of a product in peak times. You will also know where your goods might be at risk in transit, and track shipments and transactions at each point. Real-time data and robust dashboard tools that capture snapshots of parts of your business are just two features that come with supply chain visibility solutions. This data allows you to look across your entire business and see any areas that might get you into trouble. This enables you to shift a workflow to prevent crises, and stay ahead. You can also use these tools to find out if you are receiving too many products in a short amount of time, or if your orders are being rushed. Supply chain visibility also shines in terms of your relationship with your customers. Not only can you prevent problems easier, but you can highlight them very quickly. Monitoring and alert features allow you to adapt quickly, which will make your customers happier. You will be better able to adjust to changes, and update customers on shipment status, product availability, recalls, or any other errors that may occur. This improved communication will go a long way in boosting customer retention. 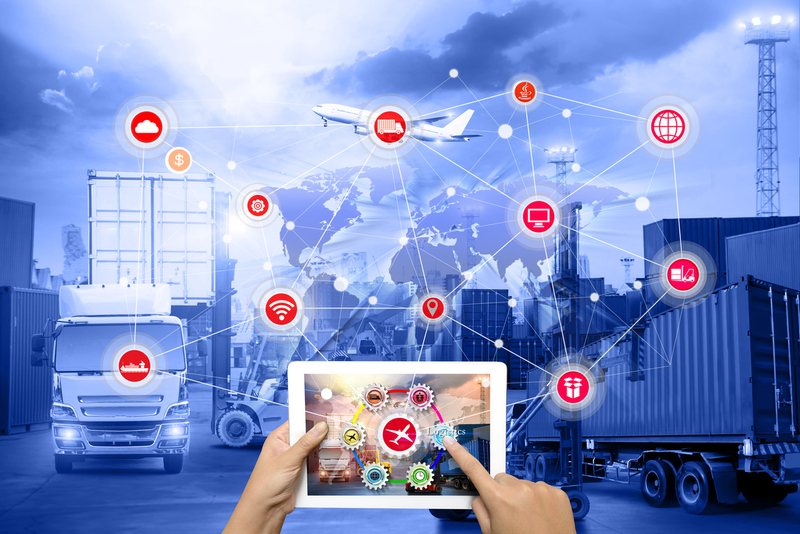 If you want to find out, in real-time, where your goods or freight are as they travel from your suppliers or to your customers around the world, supply chain visibility is vital. There are many benefits of using a single software system to track and monitor your processes, and a third-party logistics provider can help you. These companies have a full inventory of services that can manage your operations from start to finish. The high standards of customers and their increasing demands means you cannot slip in regards to the services you provide. With the help of a 3PL partner, you will be able to meet these demands while boosting efficiency and save on costs. Lean Supply Solutions can help you if you are looking for a logistics partner with the latest technology in supply chain visibility. We are aware of the rising trends in the industry and always strive to stay up to date. We commit to awareness of our clients’ operational challenges as they arise and help them get the most out of their processes. Our 3PL, packaging, and supply chain management services can streamline your processes for better success, and by striving to ensure that the right products are provided to the right customers at the right time, we can offer consistent, accurate, and quality results. If you’re considering upgrading your business by working with our 3PL distribution team, contact us today.